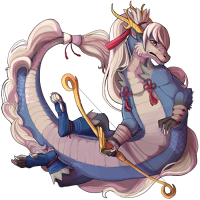 Leokumi the Custom Glacier Paralix has won the Pet Spotlight! That story was such a nice read!! Thank you so much everyone!! I was so happy to see this! My sweet Pineapple boy. Beautiful pet and that profile is adorable. Well written story too. Just a truly lovely tribute! Congrats! Beautiful overlay and nice profile. Oh wow that overlay is amazing! Congrats so much on your win! Very interesting look! Anime Subeta pet!! Oh dude, an FE fanpet! It's so nice to see these, I have all of four and love them each a lot.